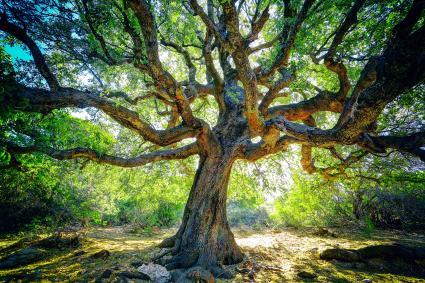 Celtic astrological signs were derived from Druidism, a religion that believes trees provide a sacred place for spirits to reside. In this astrological system each tree bestows specific characteristics and traits to those born under the sign. Animal symbols and tree alphabets are assigned to each sign to provide greater meaning and understanding of the Druid symbolism. 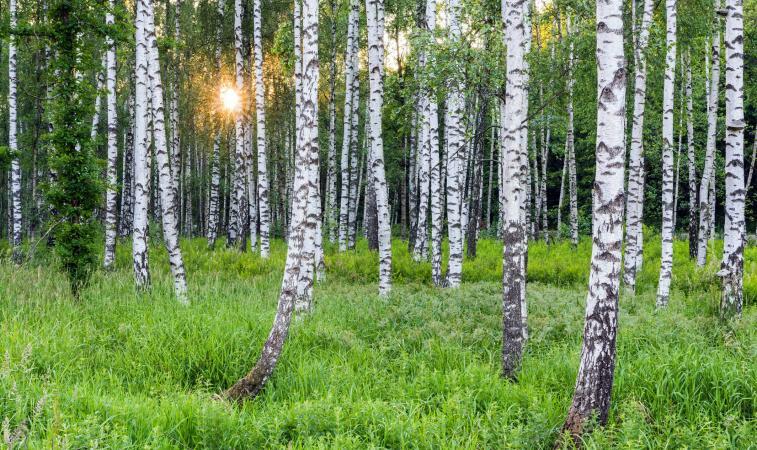 The birch tree is the first sign in the Celtic astrological cycle and represents new beginnings. Those born under this sign are achievers, who patiently pursue their goals and never give up until they have attained their objectives. Birch tree people make great leaders. As a symbol of strength, the birch tree is resilient and adaptive to its environment. It is used in magical undertakings, such as creating a besom (broom). 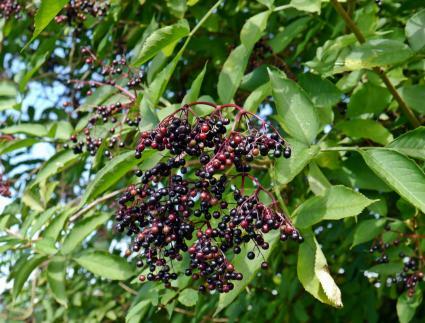 It's also used for medicinal purposes, such as a cure for fevers or as a diuretic. The birch tree is represented by the tree alphabet B known as Beth (Beith). This letter of the alphabet stands for new beginnings or rebirth through purification. The animal symbol for Birch people is the Stag (male) and Deer (female). This Celtic animal symbol is imbued with ESP (Extrasensory Perception), highly intuitive and a true empath. Those born to the rowan tree sign are known as the thinkers. The rowan tree bestows the energy of creativity and originality. The ability to envision all possibilities aids the person in their earthly journey. With this analytic mind, this sign can see situations with a 360° perspective. It is a symbol of protection and planted at gate entrances or by doorways to ward off evil. The tree is also associated with death and rebirth. Rowan trees were used to fuel funeral pyres as a symbol of the never-ending cycle of death, rebirth, death. Runes were made from the rowan tree. 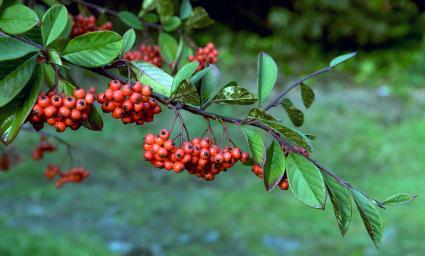 The rowan tree is represented the letter L known as Luis. It is the symbol of protection, great blessings and uncanny insights. The message is to always trust your own instincts when challenged or threatened. If you have the rowan tree as your astrological sign, then these attributes are reinforced by your animal symbol, the cat. You may easily have nine lives. At the very least, you will land on your feet in circumstances where others would fail. Other characteristics include fiercely independent, self-reliant with a mischievous nature. The ash tree is symbolic of the connection between the three worlds, underworld, earth and the spiritual word. It is appropriately called the World Tree or Tree of Worlds. The ash tree is firmly rooted and able to span the distance between these words. It is also a metaphor for the past, present and future. Encompassing all, the ash tree is a symbol of growth and expansion and reaching greater heights. It's a symbol of protection, especially as a guardian of children. Those born under this sign are enchanting with an ethereal air that makes them endearing yet also very protective. 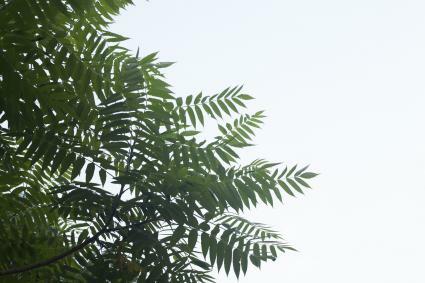 The ash tree is represented by the alphabet N known as Nion or Nuin. This alphabet symbolizes the ability to travel between worlds and reminds that every living thing is connected. The Celts viewed the snake as a symbol of health and rebirth. The snake is able to see past the veil that separates worlds. It bestows the gift of intuition and the uncanny ability to see beyond the surface of all matters and make connections others miss. 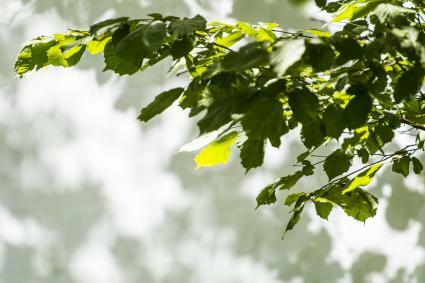 The alder tree sign is one of originality and insight. This person is a true trailblazer. The alder tree bestows a sense of self-confidence and self-trust that motivates the person to follow the beat of their own drum in all things. Venturing into unknown waters is a thrill and challenge this sign will quickly meet without a second thought. The alder tree is represented by the alphabet F known as Fearn. 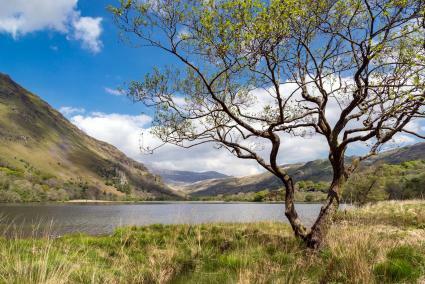 Able to survive bogs and other watery environments, the alder grows harder when exposed to this type of watery climate. If removed from the water, the alder loses its strength. The fox is known to be cunning and clever. It's difficult if not impossible to outsmart a fox. This symbol is one of quick-thinking and can also be a trickster. 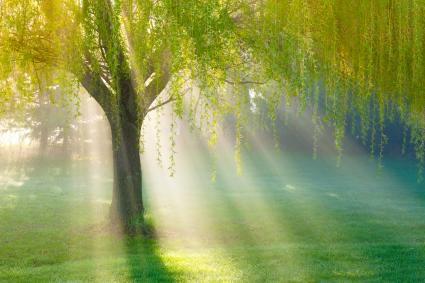 The willow tree is symbolic of a poet and someone who observes life around them. A resilience to adversity, the willow tree grows but can bend without breaking when necessary. This sign provides a well-spring of strength coupled with unwavering determination to ensure success in whatever obstacles or challenges must be met or undertaken in life. The willow is used medicinally as a pain-killer. Modern scientists discovered the willow produces salicylic acid, the pain-killer ingredient found in Aspirin. The willow tree is represented by the letter S known as Saille in the Celtic culture. Learning to be flexible is the lesson this alphabet gives to willow tree signs. The cow or bull animal symbol for the Willow Tree sign brings specific traits, such as stubbornness and loyalty. The bovine gives an optimist outlook to almost every challenge and obstacle the willow sign must face in order to evolve. The meaning of the Hawthorn tree is a mixed bag of good and bad fortune. Known as the Holy Thorn, it was from a hawthorn that the thorny crown placed upon Jesus, the Christ's head was made. This sign is the great illusionist since you never know what is going on behind the mask presented to the world. This sign is adaptable and can be whatever is required by the circumstances. Freedom is the one thing this sign will never forfeit. The alphabet for the hawthorn tree is H and stands for Huath, or Uatha. 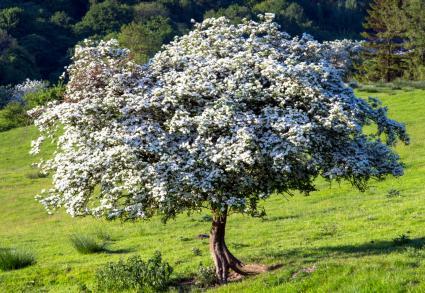 Fertility and protection from harm are both bestowed to hawthorn signs. Celtic lore attributes great power and force to the ocean. The tiny seahorse is able to maneuver through the sea currents with finesse and amazing gracefulness. This makes the seahorse a powerful symbol for hawthorn signs. Seahorse magic bestows financial acumen and an infallible memory. The mighty oak has been written about and touted for its strength. The oak tree sign does that and more. It acts as a stabilizing force in the person's life. The druids held the oak tree as a sacred living emblem of their existence. The oak is symbolic in its uses for spells, wealth and durability. 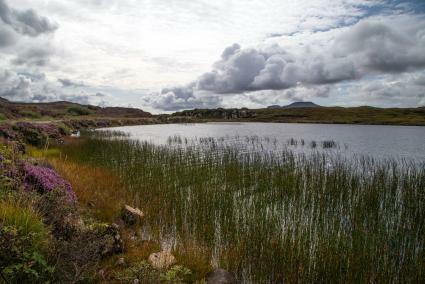 The over-harvesting of the highly prized oak tree led to much of the deforestation of Scottish lands. The alphabet for the oak tree is D for Duir. Strength and self-reliance are two traits associated with duir. The tiny wren is a symbol of high energy and industrious nature. This animal symbol brings purpose and activity to the oak tree sign that fortifies its strengths. This is the sign of royalty and prestige. Those born under this sign are blessed with grace and a highly dignified personality and presence. People look up to this sign as a leader and example of the best qualities most people strive to achieve. These natural abilities carry this sign into realms of power and influence. 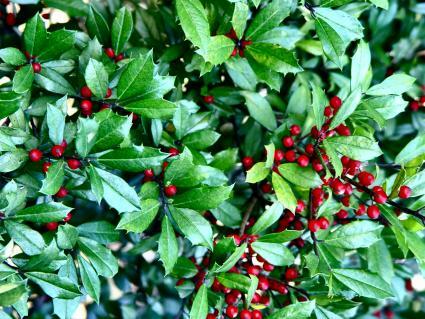 Holly boughs were used to decorate doorways and windows to ward off evil spirits. It was believed that fairies lived in holly trees, so branches were cut and brought into the homes to provide winter warmth for the fairies. The alphabet for the holly tree is T for Tinne or Teine. This is the symbol of immortality and legacy. The saying that a home is your castle is a truism for this alphabet letter. The horse is a strong and regal creature. Its grace often belies its power. The horse is a magnificent animal and gives the holly tree sign great stamina, willpower and sometimes is headstrong (stubborn) in achieving its goals. The horse can be reined in, but it takes a delicate hand to tame this magnetic and high-energy animal. The hazel tree sign is one of wisdom and knowledge. This is both formal education and an innate intuitive knowing. A multi-faceted personality, this sign has depth and dimensions afforded by what they know and continue to learn. In the Celtic lore of magic found in nature, the hazel tree is associated with stories of magic wells or springs. The alphabet letter C (Coll or Call) represents the hazel tree. Coll means the energy or life force that resides deep inside you. The Chinese call this energy chi. It is connected to the intelligent universal energy that created all life. There is no animal quite as determined as the salmon that literally swims upstream to achieve its genetic imperative to spawn. This same type of commitment to achieving a goal is found in hazel tree people. The vine tree is the symbol for balance in life. Those born under this sign always seek to restore balance in life. The yin and yang of all things is a lifetime mandate. When balance is restored, harmony is ushered in. This is the ideal of a vine tree sign. In seeking this balance, the person recognizes the delicate balance of beauty in all areas of life. 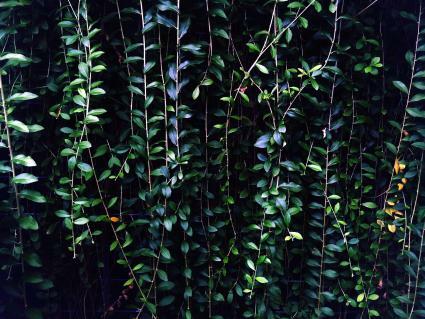 The alphabet letter M for Muin represents the vine tree. Those born under this sign have the gift of prophecy. As truth-speakers, this sign is compelled to tell it like it is, regardless how tactless it may be. The graceful swan never falters or stops when presented with obstacles or challenges. It continues on its path, unhampered by those around it or circumstances. The beauty of the swan can be found in each person and may not just be from outward appearances. The true beauty of the inner self is the real prize. This woody plant sign starts out slowly in order to gain its footing. 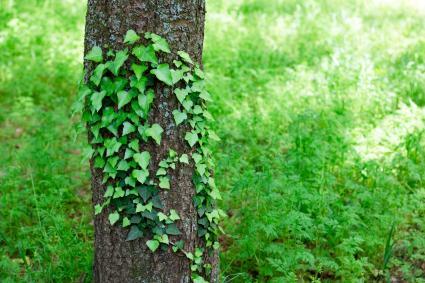 Once certain of its surroundings, the ivy takes root and begins by taking baby steps. Once firmly rooted, the plant takes off. Those born under this sign don't fully commit until they are certain of their footing. Once they are, though, they are all in and will do whatever it takes to see that they reach their goals. The ivy tree is represented by the Celtic letter G for gort. This letter defines the rapid growth, as well as the carefree and abandonment ivy, takes once it has firmly rooted itself. The fluttering butterfly is a symbol of survival and transformation. The caterpillar morphs into a beautiful butterfly that appears to have a light-hearted and carefree life. This comes from its strong drive to endure regardless the hardships it must face and overcome. The reed is a very versatile plant since it was used as thatch for houses and carved to make a flute and other musical wind instruments. This same versatility is bestowed to those born under this Celtic tree sign. The ability to take something in raw form and refine it to usefulness is just one of many talents of those born under the sign of the reed. Finding resources and usefulness often lead to careers where these skills are a necessity. The alphabet letter for reed tree is N and stands for ngetal or nGeatal. The meaning encompasses healing to health and strong ties to family. The wolf is a powerful animal symbol. It can either be part of a pack or venture out on its own as a lone wolf. You possess the self-confidence needed to have an independent life. By choice, you may decide it is easier and safer to run with a pack than it is to travel alone through life. Known as the judgment tree, the Druid priests came to conclusions and judgments while standing underneath elder trees. Those born under this sign often tend to be judge and jury but attempt to be fair and balanced in the process. There is an innate love and desire for justice. Nature holds a special reverence with a love for hiking and being outside enjoying the beauty and bounty of the natural world. The need to protect the weaker is strong along with a desire to be of service to others. The elder tree is represented by the alphabet letter R for ruis. The signal of an ending is always offset by the ability to rejuvenate. The elder energy is one of knowledge gained through experiences and shared with the next generation. The falcon or hawk is a symbol of soaring to great heights and having the ability to see things that most people either overlook or can't reach far enough to see. This all-seeing wisdom guides the falcon in its travels. It has a keen sense of direction and stays on course as long as the wind is favorable. The falcon can give an elder sign the direction needed to achieve goals and life purpose. With 13 tree signs, you can find the best signs for zodiac compatibility. The listings match your sign with the two compatible Celtic tree signs most suitable for a harmonious pairing. To unlock the mysteries of Celtic astrology, it's important to understand the two premises of Druid spirituality of reincarnation and cellular memory. By unlocking past life knowledge, you can then build upon the knowledge you've accumulated from many lifetimes. 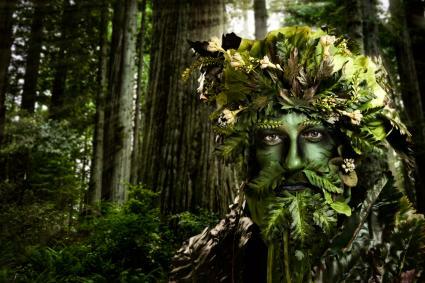 Druidism respects nature and your place within the world. The Celts believed in energy and that all living matter had energy. This belief stretched beyond the physical world into the supernatural world. Druidism espoused the ideology of creating a balance between opposites. This oneness is symbolized by the joining of male and female energies. The trees' energies are said to be revealed through the Tree Alphabet. The Ogham (commonly pronounced Oh-m) glyphs are the only written form left by the Druids. The alphabet is assigned to a different tree for each of the twenty letters (a series of markings). In Celtic astrology, the animal symbols depict the conscious mind. When the animal symbols are used in conjunction with the tree signs, a bridge is formed between the conscious and subconscious mind. In Western Astrology, the animal zodiac would be called the rising sign. Celtic astrology is another form of divining with a cultural flair. If you choose to use Celtic astrological signs as oracles for your subconscious mind and to uncover past lives, you will experience a new level of understanding and self-discovery.